← Will the Loss of the Electric Vehicle Tax Credit Lead to the Demise of Tesla? On June 27, 2018, the Delaware Sustainability and Transparency Standards Act (the “Act”) was signed by Governor John Carney. The Act became effective on October 1, 2018. The Act encourages discussion about sustainability and responsibility among participating Delaware businesses and their shareholders by establishing a voluntary disclosure system. The Act requires the governing body of each business entity that is certified under the Act, to adopt principles, guidelines, and standards to guide the business to perform in a sustainable and responsible manner. In addition, the business must adopt a way to measure and assess whether it has met its objectives. Taking into consideration the diverse range of businesses and the fact-intensive nature of creating business principles, guidelines, and standards, the Act does not have predetermined standards or criteria, and businesses determine which practices will work best for them. Delaware State officers do not evaluate or judge the substance of an entity’s standards or assessment measures. In order to obtain certification under the Act, an entity must submit a standards statement and payment to the Delaware Secretary of State. In addition, the entity must publicly publish the standards and assessment measures it has adopted on its website and at least annually, publicly disclose an evaluation of its performance. Therefore, these certification requirements provide greater public transparency. The Act is completely voluntary and imposes no obligations on Delaware business entities that do not elect to be certified under the Act. Businesses are not fined or penalized in any way for not participating. Nor does the Act impose fines or penalties on businesses that fail to satisfy their own principles, standards, or guidelines; however, entities that misrepresent their activities are subject to civil or criminal penalties. Voluntary reporting standards are already widely accepted. For example, The Public Company Advisory Group of Weil, Gotshal & Manges LLP asserts that “[m]any companies have proactively considered and implemented innovative sustainability risk management and disclosure approaches that integrate and communicate material financial and non-financial information to the public, drawing upon voluntary reporting frameworks. [And the advisory group] expects this trend will continue or even accelerate.” Moreover, the Governance and Accountability Institute, Inc., monitored the sustainability reporting of entities in the S&P 500 index and in 2017, found that 85% of companies published sustainability/corporate responsibility reports. Nevertheless, the Act is the first in the nation to provide such a voluntary platform, and given the large number of entities incorporated in Delaware, could have far-reaching significance. Many contemplate that other states will follow Delaware’s lead and adopt similar legislation, but caution that those statutes should not force businesses to disclose this information; instead, they should provide businesses the incentive to voluntarily make such information publicly available. Likely, the reason for such lax liability standards is to prevent companies from being deterred from incorporating in Delaware. On the other hand, entities that do not “live up” to their own standards may damage their reputation. Therefore, the Act gives Delaware companies a platform for signaling their commitment to transparency and sustainability. According to John Zeberkiewicz, director at Richards, Layton & Finger, P.A., the Delaware Legislature recognized “the increasing calls from investors, customers, and clients for greater transparency in sustainability practices,” and through the Act “provide[d] Delaware entities a verifiable means of demonstrating to their constituents” their commitment to sustainability. The Act shows Delaware’s awareness that sustainability and responsibility are not mere buzzwords used by companies to appeal to consumers, but instead, are terms that “embody business practices and systems . . . designed to foster innovation and long-term growth while promoting business practices intended to provide societal benefits.” Thus, in Implementing the Act, the legislators focused on cultivating within the state a business culture that would be environmentally and socially responsible and economically sustainable; and in doing so, sought to attract more companies to establish business locations in Delaware. Moreover, an entity may be interested in complying with the new Act because the Act allows the entity to publicly demonstrate its commitment to transparency and support of environmental issues. In many instances, investors push for companies to become more transparent and implement long-term sustainability plans. Thus, a company’s efforts to enact such standards may be viewed favorably as providing it a competitive advantage in the market place. Through this Act, Delaware is carving a path to allow business entities an opportunity to showcase their sustainability efforts to the public while incentivizing them to do so by certifying an entity’s adoption of sustainability and transparency standards. 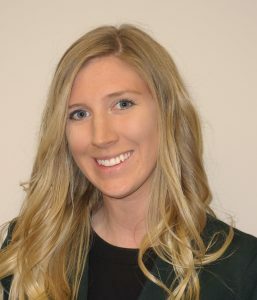 Ashley is a 3L regular division student, graduating in May of 2019 with pro bono distinction. She is currently working as an extern for the Honorable Judge Jordan for the United States Court of Appeals for the Third Circuit. She is an Articles Editor for the DJCL and the 2018/19 recipient of the Zelda Herrmann Memorial Scholarship which is granted to a female law student who exhibits leadership and substantial pro bono contributions, the William J. & Ella C. Wolf Award in Real Property Law, and the Judge J. Cullen Ganey Criminal Procedure Award. Suggested Citation: Ashley Farrell, Delaware’s Voluntary Certification of Sustainability Law, Del. J. Corp. L. (April 9, 2019), http://www.djcl.org/archives/6837. This entry was posted in djcl. Bookmark the permalink.